Lift Solutions also provides sturdy and reliable steel filler weights for traction elevator systems. 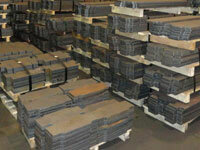 We also provide lead, cast, concrete, iron-ore and special fill elevator filler weights. 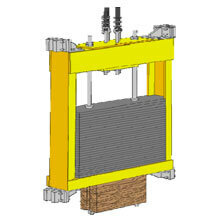 Lift Solutions offers steel filler weights (also known as counterweights) for traction elevator systems. 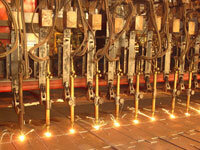 We can methodically cut and size the steel to fit any counterweight frame. 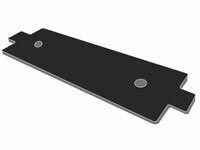 Our domestically produced, low cost, high density, value added elevator filler weights are fabricated from low carbon commercial steel. 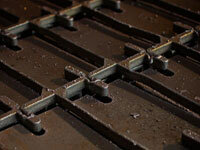 Our elevator filler weights can be laser cut to any dimension to precisely fit the frame. 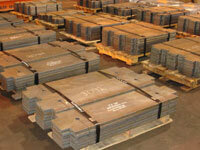 We specialize in fabricating elevator filler weights from 1/2” to 10” thick. 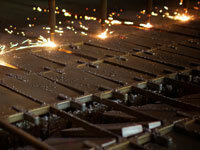 Our value added services include any fabrication and finishing, including flame cutting, welding and painting. This enables us to meet any demand for our customers. The 200,000 sq. ft. facility houses multiple docks, several cranes, CNC Oxy-Fuel flame cutting machines, a CNC controlled plasma cutter, a 100 HP planer mill, a 250 ton brake press, a Wheel-a-brator blasting machine, a 500 ton Savage flattening press and much more equipment to quickly cut your filler weights and ship them out. Lift Solutions works to make sure all orders arrive exactly when desired. Staged deliveries and organized shipments are some of the extra services we provide. We support our customers with just in time shipments, Kanban inventory, rack shipments. reusable containers and more. Quality designed and crafted standard and custom cabs.